Posted on February 1, 2019 by Tim Sarrantonio in Nonprofit Compliance. The consultant industry is big business, processing over $250 billion each year and growing. Consultants help identify a wide variety of business operational needs, but nonprofit-focused consultants make up 10% of the entire market. And as it stands, there are going to be some big changes coming when it comes to how nonprofits work with consultants. With more data available to quantify the success of an organization’s operations, gone will be the days of relying on “gut decisions” and centralizing knowledge into one departmental silo. Instead we will see a shift toward consulting models that democratize access to knowledge, interconnect resources to create an organizational ecosystem, and create scalable and repeatable results. While the first step is to establish a detailed scope of services that you are looking for when finding a consultant and then start to research which consultants will best help your organization, the really tricky part is to then narrow down and choose a consultant. 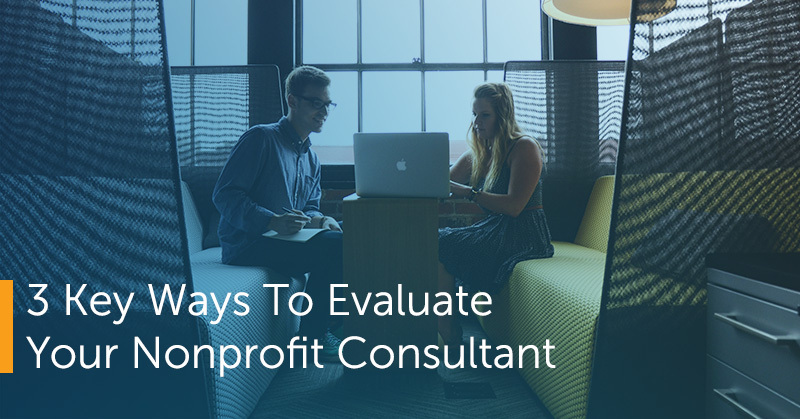 In this post, we wanted to empower organizations working with their nonprofit consultants to establish a fair and transparent process in understanding how a consultant will work with their organization. Content area expertise: Does the consultant articulate on their website, marketing materials, social media, etc. the type of project you’re attempting to do? Content specialization is vital for finding an effective consultant. This applies to both consultants doing solo work as well as firms who serve multiple content areas. Make sure that the consultant your organization will be working with has a specialization in the content area you are looking to benefit from. Professional experience: One of the more dangerous trends in the industry is the encouragement of the “side hustle” as a nonprofit consultant. While it is important to give consideration to new consultants who may have a fresh take on your problems, it is also equally important to ensure you are working with a professional. Inquire into the basics of how they will handle billable hours, taxes, and processes around project implementation and support. Availability: When do you need your project to start? How long do you expect the project to last? And what happens if the consultant has another project come along that overlaps? Timing is important when scoping projects and understanding where your organization falls into the priority scale is an important question. Will the consultant take on any other clients during your project? If so, that may be fine but be realistic about time commitments on both ends. Structure: Is the proposal itself outlined in an easy-to-digest way? How long does it take your organization to understand the project scope being proposed and the costs associated with it? Content: Does it address the project’s goals and objectives or is it more window dressing for a boilerplate outline that can be applied to any organization? How specialized is your specialist being when it comes to your project? 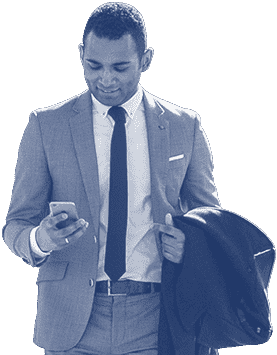 Presentation: Has all your interaction with the consultant been over email or have you had a phone call, video presentation, or in-person meeting? While every project may not or should not be in person, the ability to put a face to the name and understand who you are working with is important. How polished are they in communicating their vision for your organization? How a consultant pitches their business to you is emblematic of how they will communicate with you throughout the project itself. A poorly presented proposal is a big red flag that the consultant will not put the care into the project itself once the contract is signed. Understanding the contract terms is extremely important when working with any third party, but with consultants there are additional elements that should be taken into account. Budget: What is the full budget and is it based off hours or scope? What happens if the project runs over? Deliverability: What are the mutually agreed upon terms of delivery? Does the contract lay out exactly what benchmarks should be hit and by when? Being somewhat flexible with dates should be expected, but things should not be open-ended. Issues: What recourse do both parties have if something goes wrong with the project? What is your organization on the hook for if deliverables are not met? Is there a fee for cancellation of the project if you no longer want to move forward? You should rightfully expect the consultant to also protect themselves from clients attempting to utilize their services without pay. Consultants can and should play a role in the long-term health of an organization, either stewarding them through the initial stages of becoming a nonprofit all the way to managing some of the most important growth campaigns that an organization may have. With the right consultant, your organization can scale heights never before imagined. Yet finding and then contracting with the right one will only become more difficult as more people try their hand at nonprofit consulting. The concepts outlined here should go a long way toward ensuring you find that perfect partner. Neon One has invested resources into creating the industry’s most comprehensive program for vetting nonprofit consultants. We’re excited to work with partners like Harbor Compliance on curating your entire nonprofit ecosystem. Get more information here. =Tim Sarrantonio is a team member at Neon One and has more than 10 years of experience working for and volunteering with nonprofits.Tim has raised over $3 million for various causes, engaged and enhanced databases of all sizes, procured multiple successful grants, and formulated engaging communications and fundraising campaigns for several nonprofits. He has presented at international conferences and is a TEDx speaker on technology and philanthropy. He volunteers heavily in his home Niskayuna, NY. We've got answers! Our team of Specialists is ready to handle any inquiries you may have. Reach out to learn more. Sign up to get fresh ideas delivered to your inbox throughout the year!